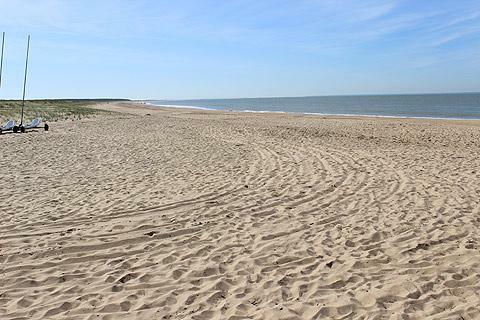 La Faute-sur-Mer is the most southern of the seaside resorts in the Vendee department, and situated along a 10 kilometre long peninsula to the east of La Tranche-sur-Mer and facing the Ile-de-Ré. Until about 100 years ago La Faute-sur-Mer was little more than a sandy island, but an extensive programme of tree planting and land reclamation started in the 19th century transformed it into the resort we see today. 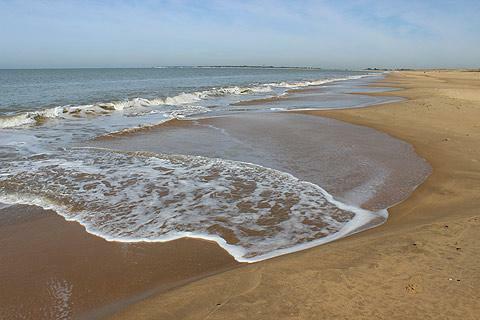 It is of course the beaches and natural environment that attract large numbers of visitors to La Faute-sur-Mer, and almost the entire southern coast of the peninsula is one long sandy beach which is among the best in Vendée. The ease of access to large open spaces of sand, especially at low tide, mean the beaches are especially well known for sand yachting. There is also a naturist beach here on the Pointe d'Arçay: park at Rue du Puits to find the footpath that leads to the naturist beach. Behind the beach there is a large area of forest which is also very popular with cyclists, walkers and jogging enthusiasts. The forest covers more than 500 hectares and visitors can see numerous birds and small animals, but also deer and even wild boar have established themselves in the forest. La Faute-sur-Mer itself is quite recent and has little of historical interest, but does have a decent selection of shops and restaurants to cater to visitors and even a small casino. Not surprisingly sea-food restaurants dominate the choices available! On the eastern side of the peninsula you can also see the port, used by both fishing boats and pleasure boats. There is also a bike hire shop in the centre of La Faute-sur-Mer. Nature enthusiasts, and in particular bird spotters, have two natural reserves to explore close to the town, with the Pointe d'Arcay reserve to the south of the peninsula and the Belle Henriette Natural Reserve to the north. 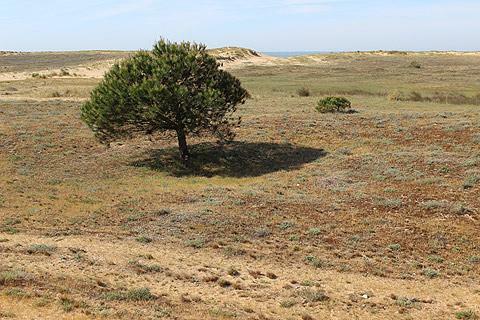 The protected environment of the Pointe d'Arcay is usually closed to the public but during July and August guided visits are available - there is no charge, ask at the La Faute-sur-Mer tourist office. 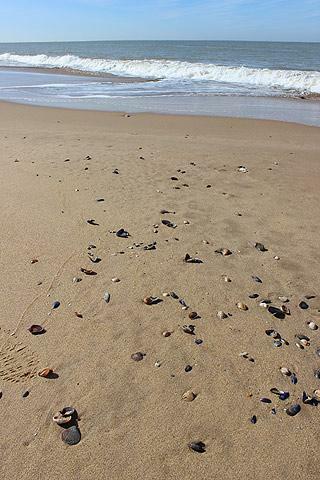 There are several beaches in Vendee including parts of the beach at La Faute-sur-Mer where you will see quite a lot of algue on the beach, especially outside high season. 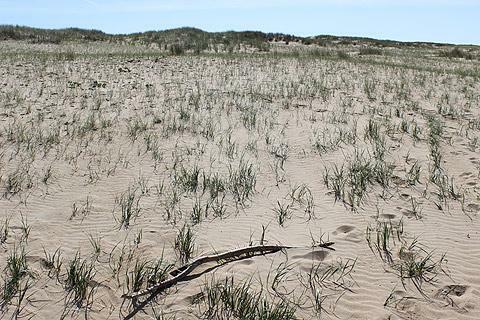 At first glance this can make a beach look like it needs cleaning, but actualy the algue forms an integral part of the ecosystem of these beaches and also helps to prevent coastal erosion so several beaches have a deliberate policy of leaving the algae in place. No need to worry, it's still very easy to find an 'algae free' beach both here at La Faute-sur-Mer and elsewhere in Vendée! La Faute-sur-Mer is also popular with campers and there are several campsites very close to the town and beach. Just off the beach along much of the coast here is one of the largest mussel beds in France, and despite the growth in local tourism mussels are still a very important local industry. Note: La Faute-sur-Mer was one of the French communes worst affected by the 'Xynthia' tempest in February 2010, which caused extensive damage and eventually led to hundreds of houses being demolished because they were found to have been built in an unsafe flood zone. 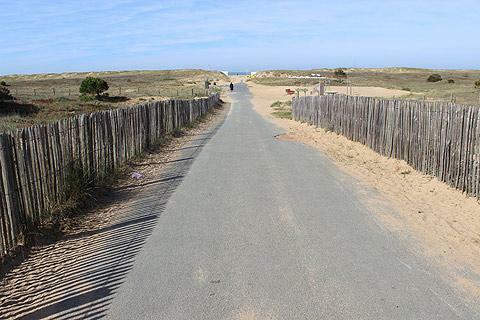 The most popular attractions in Vendee are certainly the beach resorts - for example for a change of scenery you can visit La Tranche-sur-Mer a short distance to the west of here - and La Faute-sur-Mer is also well placed to visit the town of Luçon, a short distance to the north-east. 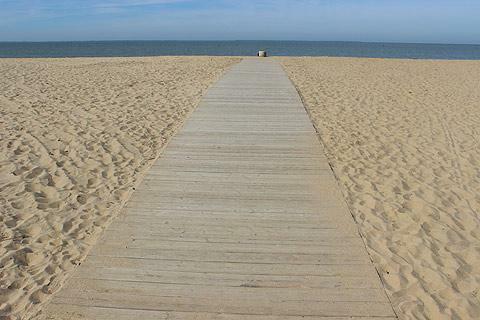 See also our guide to more of the popular Vendée resorts and beaches.